The photo is not my fridge, but the contents in mine are somewhat similar. Apparently, the freezer contents were even worse… I won’t repeat what he said about that. 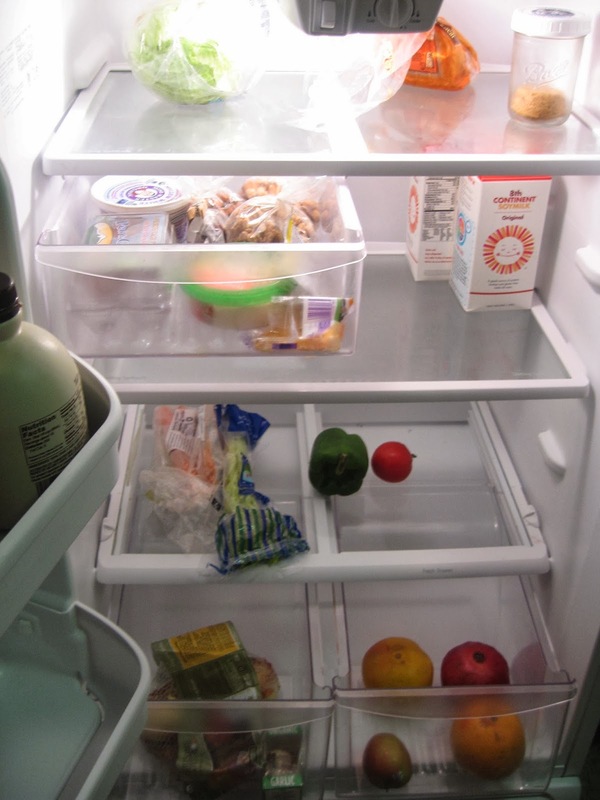 Thankfully, my fridge isn’t empty because I’m broke. It could be worse. It’s empty because I am unbelievably busy. Or perhaps it’s empty because it’s lower on the priority list. This week I’ve listed my book for a Goodreads giveaway, and LibraryThing giveaway, did a submittal for Bookbub (yet to be approved), sent my book to a TON of reviewers who all have different submittal requirements, accidentally deleted all my blog photos, reattached all my blog photos, sent numerous twitters, deleted 500 twitter people I was following who hadn’t signed on for 30 days, had a birthday, revamped my book description, wrote up a press release, started on my media kit, and cleaned my house from top to bottom for my parents’ visit. All of that work was on top of a 40 plus hour day job. This book promoting work takes so much time, yet is so important that I just let other things fall off the list. Let me just say that if I didn’t have a day job my fridge would look worse than what is above so I must work on promoting the book. Yet, I suppose I should go shopping today. My response to my father was, “You can choose. You either get a clean house with your visit, or a full fridge. I don’t have time for both.” But I know what will really happen. Next time he will either bring groceries or his own food! I have to stop blogging right now because I’m laughing too hard.